The Bhagwati College of Law, Meerut is one of the reputed law colleges in Uttar Pradesh. The college was established in 2005. It offers Bachelors and Masters Courses in various disciplines. But the college has established its own niche in law education. The Bhagwati College of Law is accredited by the Bar Council of India. 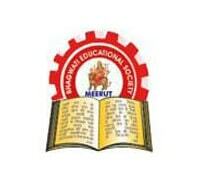 The Bhagwati College of Law, Meerut imparts quality education to students. It aims at nourishing talent and creativity in students. The college library is quite rich with extensive numbers of journals from India and abroad. To aid students in law practice, there are collections of cases studies. A student should have completed Graduation with a minimum aggregate of 45% marks from a recognised college/ university. Students with 50% marks in 10+2 are eligible to get admission in the Bhagwati College of Law. Institute is situated at Delhi-Hardwar Highway, NH-58, Siwaya Roorkee Road, Near Toll Plaza, Meerut (U.P.) India. Phone: 01237- 230122.